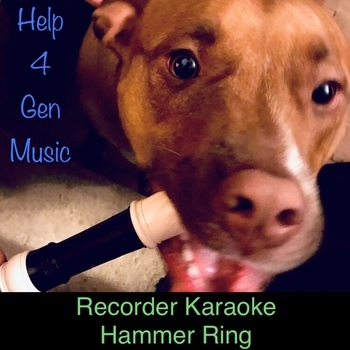 Help4GenMusic's Recorder Karaoke - Hammer Ring with rock band! Liven up your recorder time with this rockin' Recorder Karaoke version of the classic recorder favorite 'Hammer Ring' (a pdf of the music is also listed here on my store for FREE!). Your kids can jam along with drums, bass, and guitar at a comfortable tempo for students just getting a handle on their low E (it uses only E-G-A-B) for soprano recorder. There are 'video' demos of our other tracks for sale on TpT so you can hear audio samples, but for this free giveaway that isn't an option in TpT for the free items, but you can hear a sample here if you like.